Which Of These Five Items Is On Your "Dream Kitchen" List? 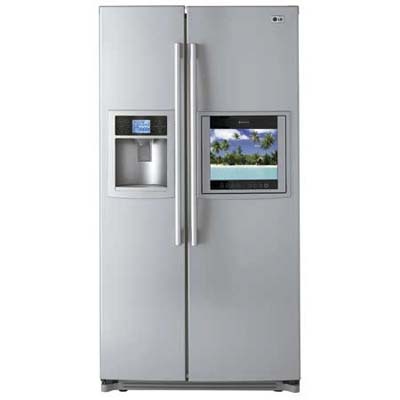 Stainless steel might never go out of style, but it's sure losing some steam against this year's bright appliance hues. 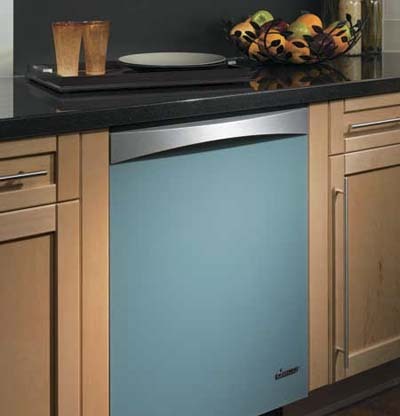 As part of its Preference collection, Dacor recently introduced 24-inch dishwashers in an array of colors. A floating glass front panel is available in six colors: anthracite gray, sterling gray, titanium silver, blue water, slate green (shown), and black. 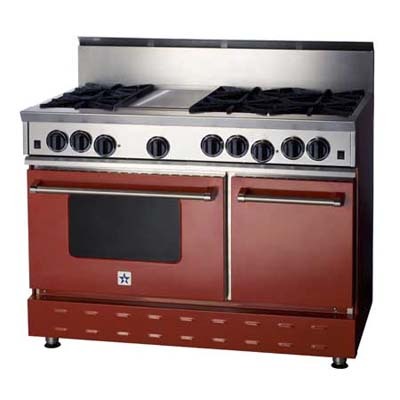 Add some spice to your kitchen design with a BlueStar gas range, available in 190 colors. Shown is the 48-inch residential Nova burner (RNB) featuring 22,000 BTUs of cooking power, simmer settings, and an infrared broiler. Enjoy the freshness of filtered water at your own sink with Kohler's Carafe kitchen, which integrates a water filtration system. 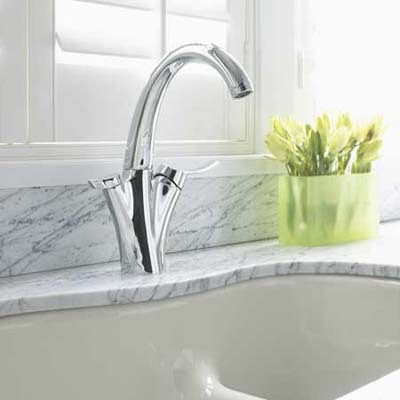 A single-lever operation and 360-degree swivel spout keep it all together in one stylish fixture. This year's products pack it in for multitasking, time-challenged consumers. A sink is no longer just a sink with Franke's new Active Kitchen collection. 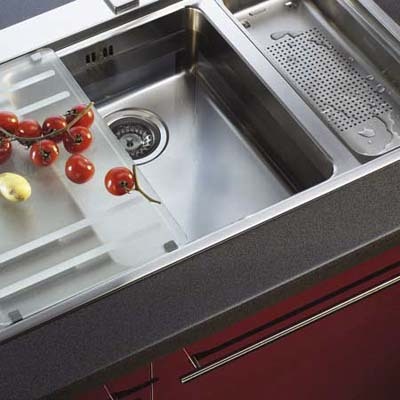 The Mythos sink system (shown) offers an array of accessories including a flexible, tempered satin glass preparation board, a colander, and drain tray. It is available with Franke's rail system for handle mounted components, a pull-out sprayhead faucet, and a matching Mythos vent hood.